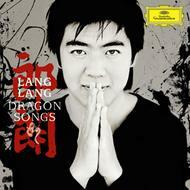 Lang Lang has fascinated audiences all over the globe - now he takes them home to show them 'his' China with 'Dragon Songs', a CD album with Chinese piano solo, chamber, and orchestral music and a DVD documentary, highlighting the musical culture that forged one of the most acclaimed classical musicians of our day. The CD album juxtaposes the Yellow River Concerto, a large-scale, highly virtuosic piano concerto with colourful sound scales, with miniature pieces for piano solo and with chamber pieces, each combining the piano with traditional Chinese instruments. Though all the pieces were written in the early 20th century, most of them are based on much older sources, merging traditional Chinese melodies and idioms with the Western classical music tradition - the result is music of astonishing beauty and ease that will strongly appeal to a broad audience.